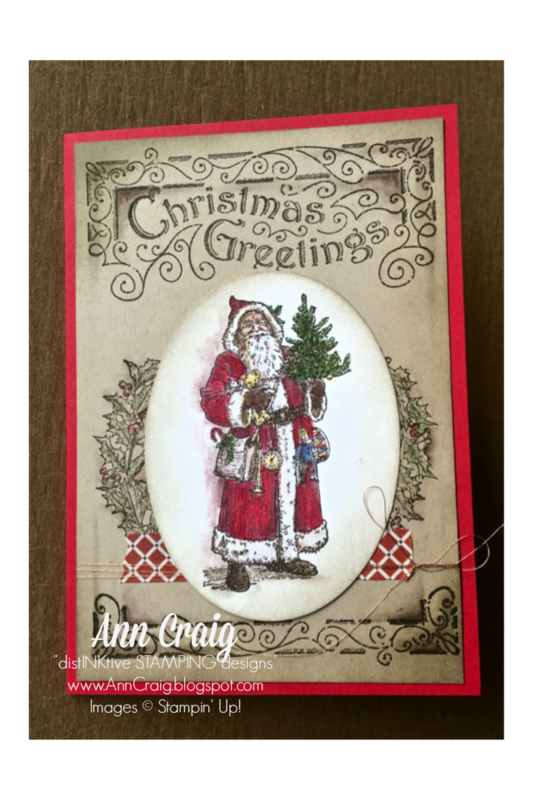 Today I have a traditional Christmas card for you, featuring the Father Christmas stamp set from Stampin' Up! 's® Holiday Catalogue. This Santa reminds me of what I imagined he would look like when I was young, so it is wonderful to have a detailed stamp to create some traditional Christmas cards. I cased this design from a sample in the Holiday Catalogue with just a couple of little differences to cater to the product I had on hand. There are some really excellent samples in both the Stampin' Up! catalogues that provide inspiration and ideas for your card making. I thought this sample demonstrated the versatility of the stamp set as I have used 4 different stamps from the set on the card front. You can find the list of products used on this card below.